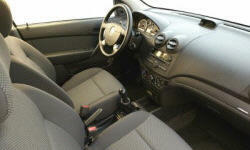 Chevrolet Aveo Pros and Cons | Page 1 of 1 | Why Not This Car? What drives people to buy (or not buy) a certain car? TrueDelta's members share Chevrolet Aveo pros and cons based on their real-world driving experiences. Boxy but appealing because it looks like a gas saver. No standard air conditioning! No power locks and windows! Come on, now, Chevy! This is the 21st century!!! Hard to get 20mpg in the city, was always a disappointment. 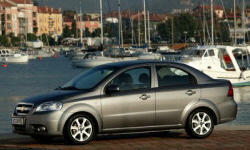 the 2006 was designed in italy at a prestigious design house and is a simple streamlined car. Too low and difficult to see around other vehicles. The front end was hard to gauge as the nose sloped away. The outside side mirrors were also just too small to easily catch the blind spots.